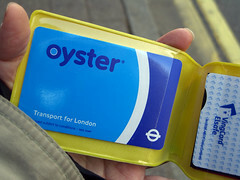 Confounded to discover that your Oyster card was knackered when you tried to hop on the Tube this morning? You're not the only one. A major card fault hit the system on Saturday morning, meaning that cards were inoperable for a five hour period. Worse was to come. When the system lurched back into operation, any cards that had been passed over a swipe machine during the problem - up to 40,000, according to some reports - were no longer working, and people who tried to use them were unable to get through the barriers. Some were even lobbed penalty fines for their troubles. Passengers are advised to visit a London Underground office to rectify the problem (note that mainline or Overground stations won't be able to help), and TfL have done the decent thing by laying on 150 extra staff to assist handing out replacement cards on a typically busy Monday morning. Meanwhile, those erroneously fined will get an automatic refund from Tuesday. Having been cracked just the other month, it's not exactly the kind of publicity the system needs. We're just lucky the downtime didn't happen during rush hour.